With spring in full swing, the markets are full of crisp, colorful vegetables and there is no better way to celebrate them than to make a stir fry. It’s a dish that comes together quickly and easily, once the veggies are chopped, so you can have dinner on the table on 15 minutes or less. First start with a mixture of spring vegetables. 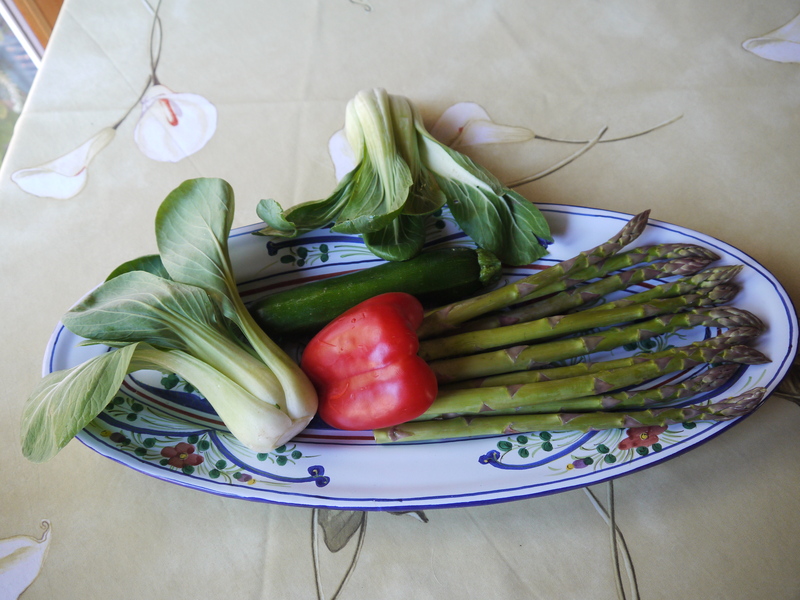 In this recipe I used baby bok choy, asparagus, red bell pepper and zucchini. 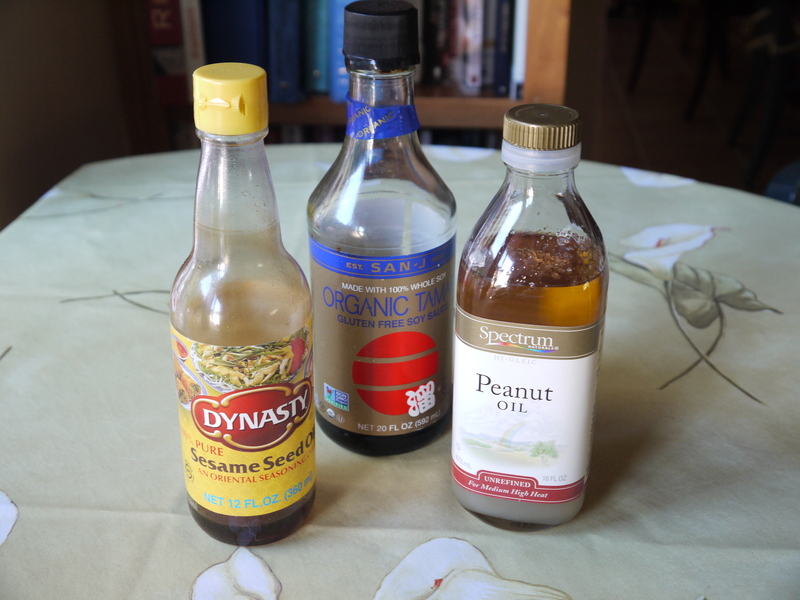 Have on hand peanut oil, soy sauce or tamari (I prefer tamari) and sesame oil for cooking and flavoring your stir fry. 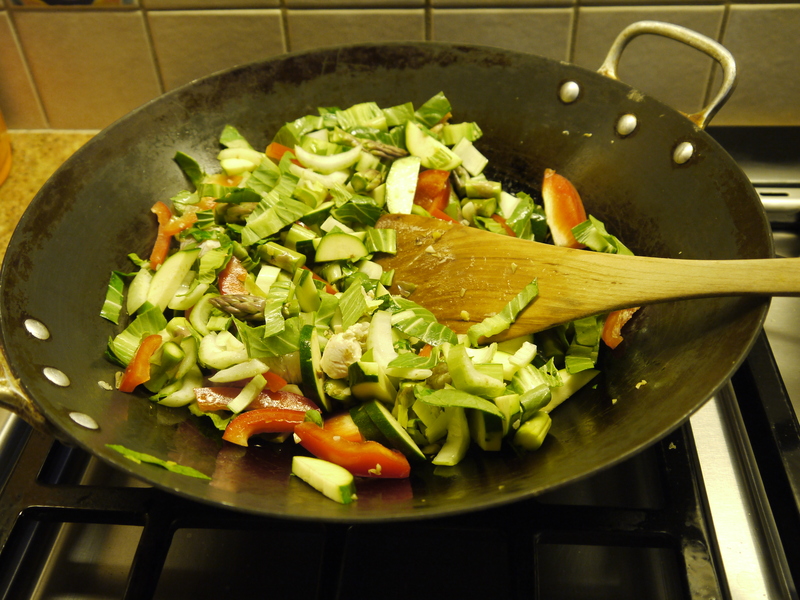 A wok works best for a stir fry, but you can get away with a 12″ frying pan. Get it hot over a medium high burner and add a good splash of peanut oil. Once it’s hot, add the minced ginger and garlic and cook until fragrant. Add the diced chicken and cook until opaque then add all the veggies and stir over high heat, tossing, so all the pieces get a turn on the hot walls of the wok. Once the vegetables are mostly cooked, add some fresh rice noodles that you’ve softened in the microwave, just until they are pliable. 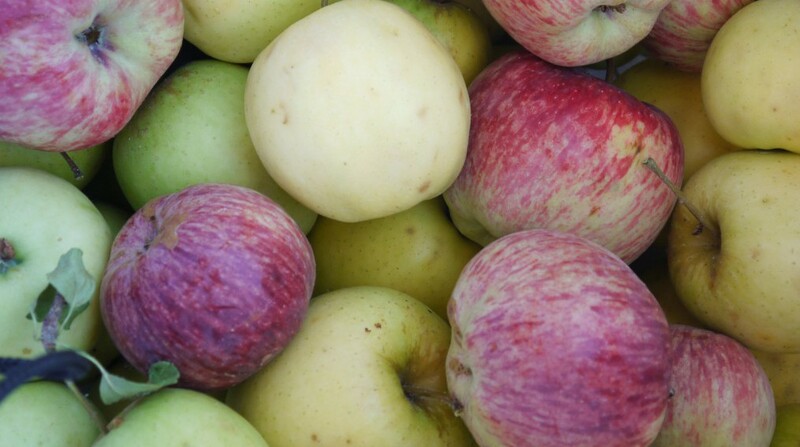 Toss all the ingredients, shaking in a good dose of tamari. I like to use wooden salad servers to move the mixture around. Voila! It’s ready. Finish the stir fry with a splash of sesame oil, it adds a delicious flavor. Heat peanut oil in a wok over medium high heat. When it shimmers, add the ginger and garlic and stir until fragrant. Add the chicken and cook until opaque then add the vegetables, tossing to coat with the oil and evenly distribute the ingredients. Cook in this way until the veggies are crisp tender, about 4-6 minutes. 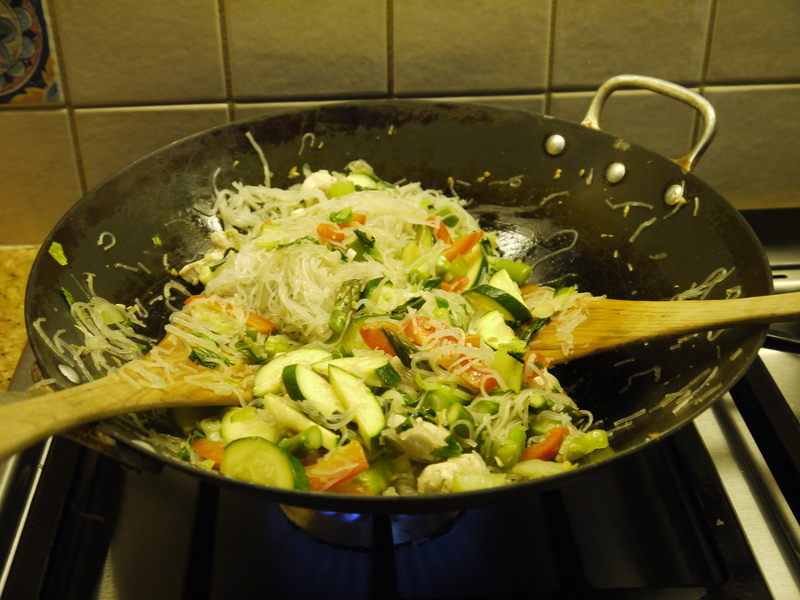 Add the rice noodles and continue stir frying until noodles are cooked through, about 3-5 minutes. 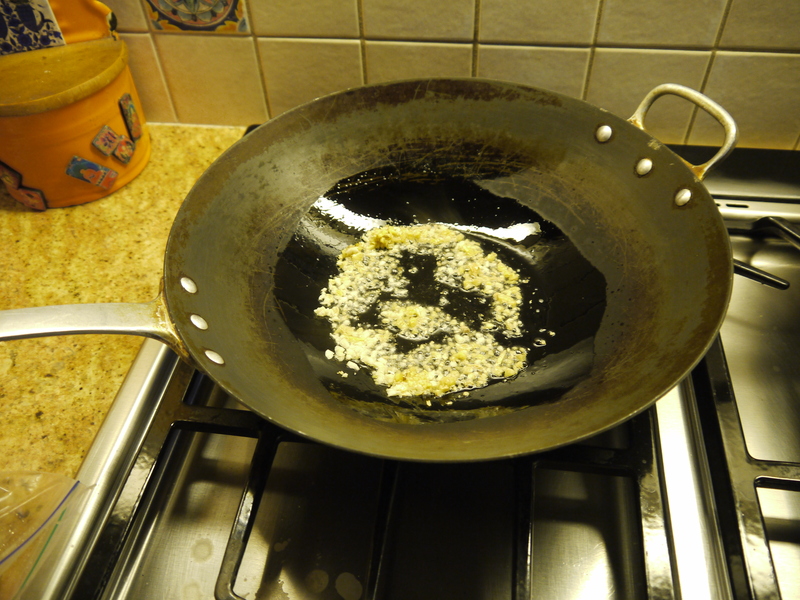 Add the tamari, mixing it in then finish with the sesame oil, giving everything a final toss. Divide amongst plates and pass additional tamari at the table. This entry was posted in Main Courses, Recipes and tagged asparagus, bok choy, sesame oil, stir fry, tamarai, zucchini. Bookmark the permalink.